Give your audience a Christmas present with this clever graphic. Simulating the top of a neatly wrapped gift box, this red-on-red design seems to pop off of the page. The simulated wrapping paper is printed with intricate snowflakes, but the soft contrast in reds keeps the pattern subtle. 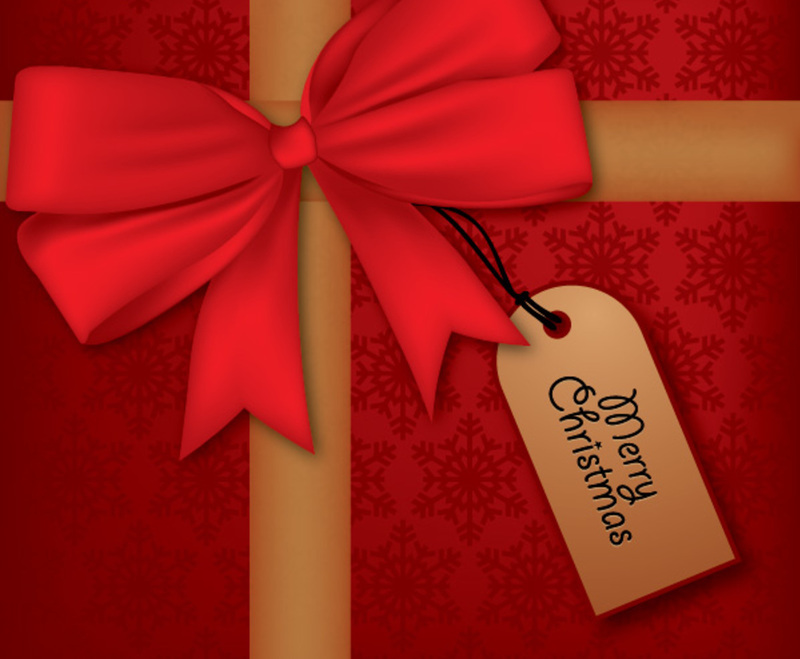 A bright red bow contributes a touch of elegance, while a gift tag hangs from the crossed ribbon with the words “Merry Christmas” in a handwritten font. The bow is an intricate tangle of bright red velvet that pops out against the muted reds of the background.